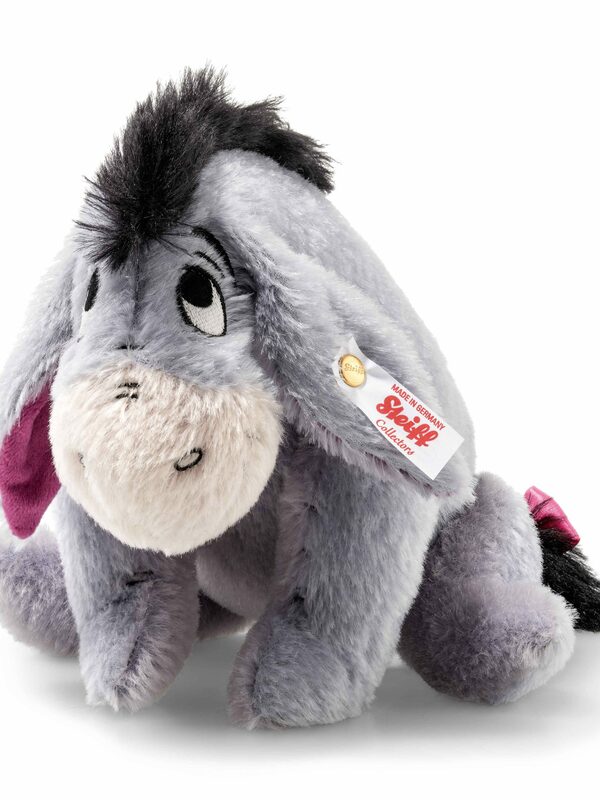 Eeyore is one of the many beloved characters from the treasured set of Winnie the Pooh stories written by A.A. Milne. 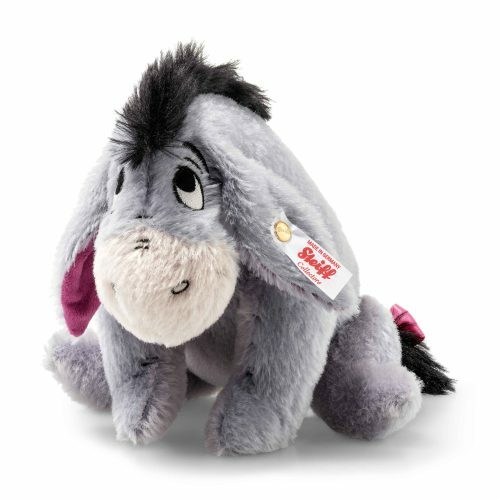 Dwelling in the Hundred Acre Wood, Eeyore is everyone’s favourite delightfully dismal donkey, but he doesn’t see himself as gloomy – Eeyore just has low expectations, reflected by his restrained and introverted personality.Made of mohair Eeyore is jointed at the arms and legs. With a pretty purple bow on his tail and matching purple inner ears. ©Disney and Based on the “Winnie the Pooh” works by A.A. Milne and E.H. Shepard.